Cookie and Lucious book some studio time with Treasure to record her track, but she bails on them, and Cookie is charged for the time. 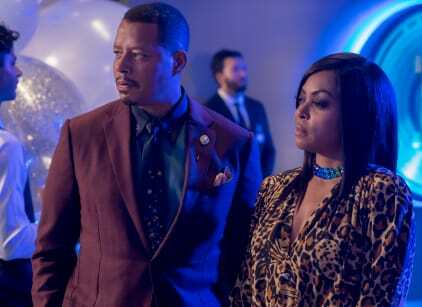 When Lucious and Cookie meet up with Treasure, they are blindsided to learn that she's signed a deal with Empire thanks to Giselle. The Lyons threaten to sue her, but Giselle threatens years in the courtroom, prompting them to give up. But Giselle's world is rocked when Kingsley is named CEO, pushing Giselle out the door. He goes to the Lyons with a plea to go back and attend events. He promises to cut them a check. They agree, but Lucious realizes he's mean about the artists and puts him on blast in a public setting. In the future, Lucious is arrested following the funeral of the unknown person by the FBI. But it is revealed that both Becky and Thirsty survived the ordeal.